It really depends upon how they were reported in previous year’s Financial Statement Report. Let’s take examples and assume the ending bank balance per the bank statement is $11,000. There is also one check you wrote for $10,000 has not cleared the bank yet. In your books, the actual bank balance should be $1,000, right? Example #1: You have already reported $10,000 as an expense in the previous year’s financial statement. Since you have already reported, you do not want to expense it again in the current year. You would post $10,000 check as “Prior year” activity, with a prior date. 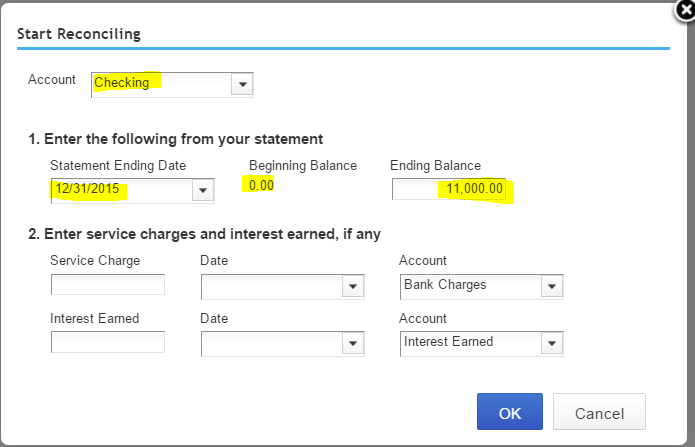 This way, you can put the bank statement’s ending balance and have the uncleared check as outstanding, for the purpose of bank reconciliation. 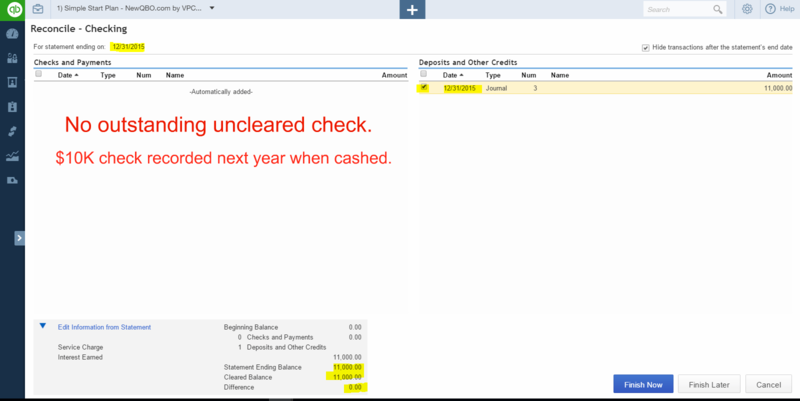 Example #2: You have not reported $10,000 as an expense in the previous year’s financial statement. This becomes your current year financial activity when the check has cashed the bank. 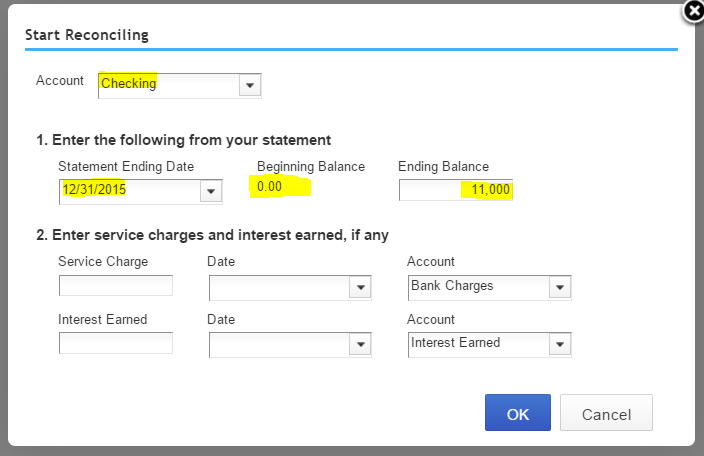 If you are downloading banking transactions, you would expense it when the bank posted the transaction. 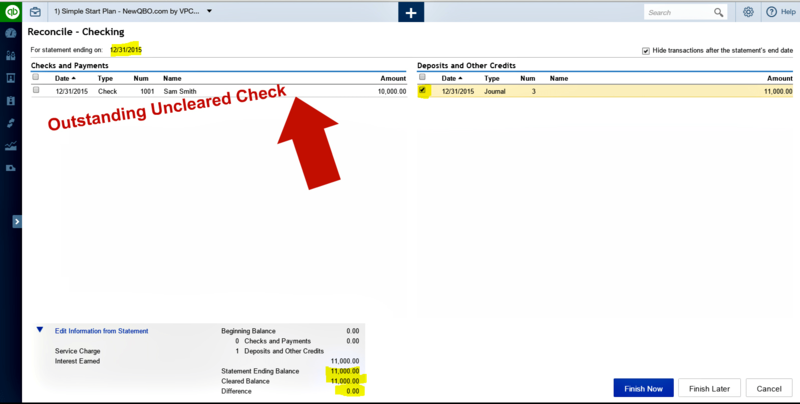 In setting up QuickBooks file, the bank balance is $11,000, the same as the bank statement balance.